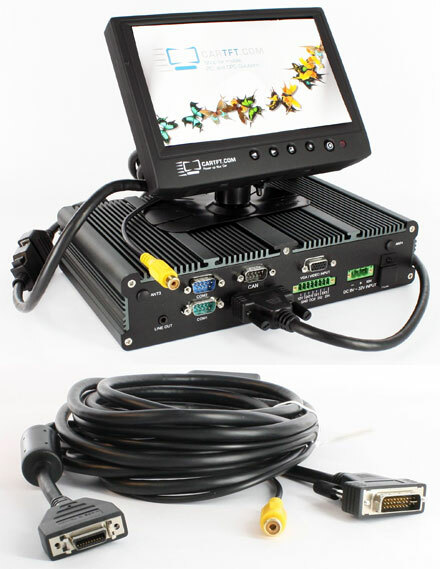 With this cable you can connect our TFT-displays directly to the DVI-port of the FleetPC-5 / FleetPC-8 car-pc system. Through this connection we serve VGA, Touchscreen USB, power, audio. The seperate Cinch-video-input can be used eg. for an rear view camera.